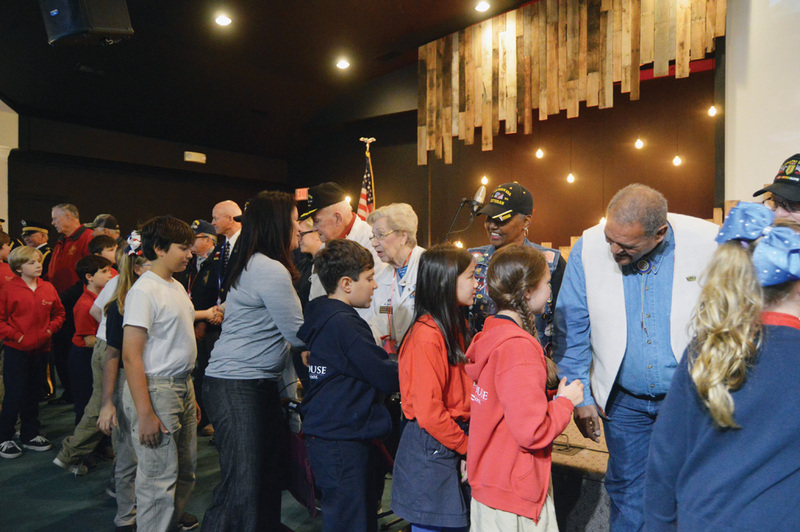 At the Lighthouse Christian School’s ‘Honoring Our Veterans’ program on Friday, Nov. 16, students lined up to thank the many veterans in attendance. This year’s program focused on Korean War veterans. Veterans from that era received special recognition during the program, and several shared their memories with the students during a sometimes-emotional part of the program. The students sang, and gave choral readings and special presentations during the program, which included a report on the Korean War and a demonstration of the proper way to fold a flag for presentation at a veteran’s funeral, with explanations of the meanings of each fold. After the program, the students shared a luncheon buffet with veterans and their families, with food donated by local restaurants.